Why We Want It: I've had copies of the linked novellas The Alchemist (Bacigalupi) and The Executioness (Buckell) on my shelf for a number of years without ever having cracked either cover for no good reason that I can understand. 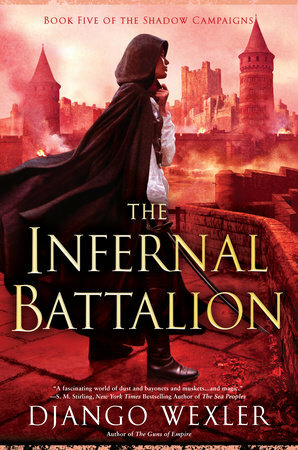 I've been a big fan of Buckell's work since discovering Crystal Rain ten years ago, so I'm always excited to see something with his name on the cover. 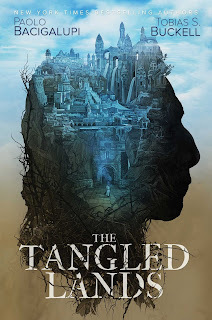 The Tangled Land pulls together the two previously mentioned novellas with two additional ones to weave together a larger epic story. Now is the time to finally dive into this world. A stunning new collection of short fictions for adult readers from the World Fantasy Award– and Newbery Medal–winning author of The Girl Who Drank the Moon. From award-winning, New York Times bestselling author Kelly Barnhill comes a stunning first collection of acclaimed short fictions, teeming with uncanny characters whose stories unfold in worlds at once strikingly human and eerily original. When Mrs. Sorensen’s husband dies, she rekindles a long-dormant love with an unsuitable mate in “Mrs. Sorensen and the Sasquatch.” In “Open the Door and the Light Pours Through,” a young man wrestles with grief and his sexuality in an exchange of letters with his faraway beloved. “Dreadful Young Ladies” demonstrates the strength and power—known and unknown—of the imagination. “The Insect and the Astronomer” upends expectations about good and bad, knowledge and ignorance, love and longing. The World Fantasy Award–winning novella The Unlicensed Magician introduces the secret, magical life of an invisible girl once left for dead. 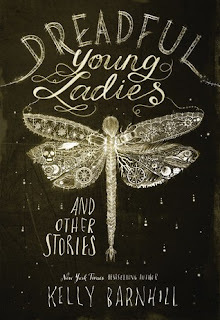 By an author hailed as “a fantasist on the order of Neil Gaiman” (Minneapolis Star Tribune), the stories in Dreadful Young Ladies feature bold, reality-bending fantasy underscored by rich universal themes of love, death, jealousy, and hope. Why We Want It: We loved Kelly Barnhill's Newbery Medal winning novel The Girl Who Drank the Moon (my review) and pretty much everything else Barnhill has written. I nominated Barnhill's story "Mrs Sorensen and the Sasquatch" for the Hugo back in 2015, but alas, it did not make the final ballot. 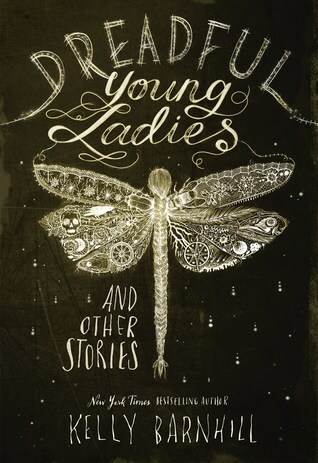 I've been enjoying her short fiction for years, so this collection will be a delight. It also includes The Unlicensed Magician (my review), so if you haven't had the chance to discover Sparrow, The Junk Man, or Marla the Egg Woman yet, you're in for a treat. 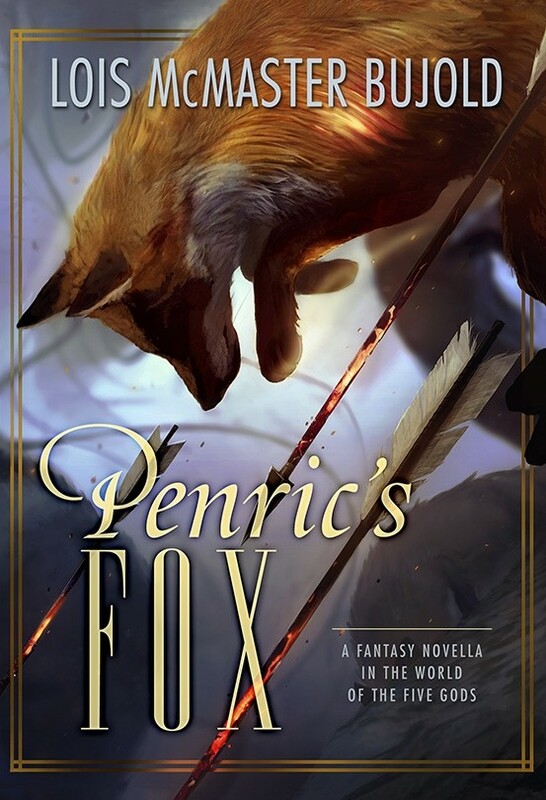 With Penric's Fox, multiple-award-winner and bestselling author Lois McMaster Bujold returns to her World of the Five Gods, the setting of her acclaimed novels The Curse of Chalion, Paladin of Souls, and The Hallowed Hunt. Continuing the tale begun in the novellas “Penric’s Demon, “Penric and the Shaman,” and "Penric's Mission," Bujold’s newest installment of Penric and Desdemona’s tale is another must-read novella for her legion of fans. Why We Want It: At this point we don't have to say much more than "Lois McMaster Bujold" to get you to pick up a book, do we? Bujold's Penric novellas are bite sized delights and I'm quite looking forward to more. Why We Want It: I've long loved novels of colonies and discovery across generations. 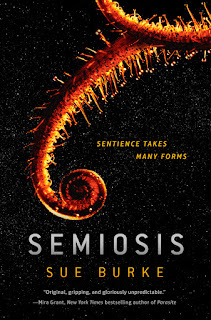 Semiosis continues to pop up on our radar and as this is a generational novel of a human colony struggling to survive on another world, it's exactly the novel I'm looking for. Semiosis should be an impressive debut. 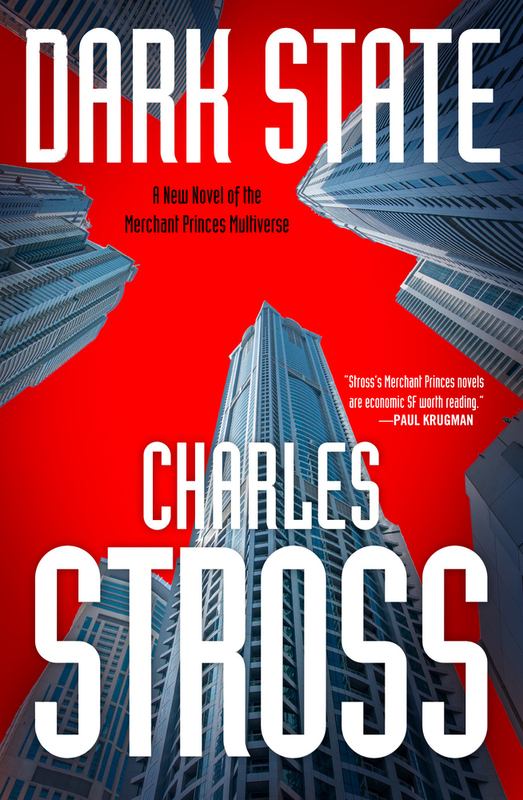 Dark State ups the ante on the already volatile situations laid out in the sleek techno-thriller Empire Games, the start to Stross' new story-line, and perfect entry point for new readers, in The Merchant Princes series. 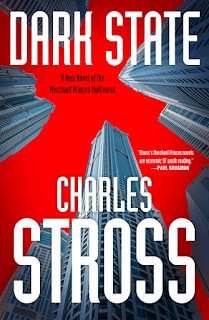 Why We Want It: Empire Games (my review) was perhaps the strongest of Stross's parallel universe hopping Merchant Princes novels filled with political intrigue. I didn't love it without reservations, but I frequently find myself coming back and thinking about the details and how things fit together. I'm hoping for more of Dark State to be set in Miriam's timeline since Empire Games skimped on that a bit, but I've got this sitting on the nightstand next to my bed and I anticipating cracking this one open very soon. Why We Want It: We here at Nerds of a Feather have long been fan of Django Wexler's Shadow Campaigns, especially The G, so you know we're looking forward to this fifth volume.